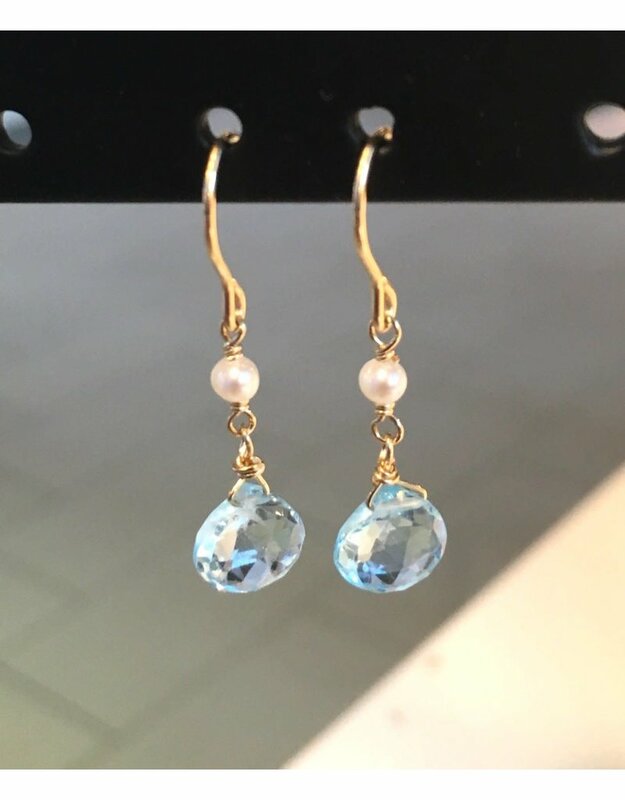 AmbicaNYC designed these blue topaz, pearl and gold-filled wire for daily wear, but they have enough sparkle to double as a statement. Gold filled refers to a solid layer of gold that is mechanically bonded to a base metal, which is usually jeweler's brass these days. Generally, gold filled jewelry will retain its warm color and luster for a lifetime. 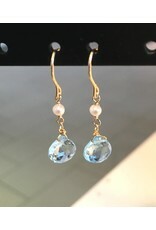 Since the outer layer is solid gold, the gold will not tarnish, and can even be polished with a polishing cloth (which we have) for a brighter shine.